All of our recipes are formulated by one of the country's leading board certified Veterinary Nutritionists, Dr. Justin Shmalberg. Dr. Shmalberg is a practicing veterinarian and professor at the University of Florida, and has been formulating custom recipes for decades. 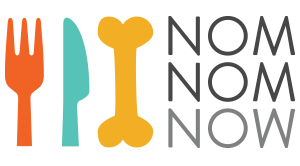 We're lucky to have him balancing all of the fresh recipes we offer here at NomNomNow, and providing your dogs with nothing but the very best! Learn about who Dr. Shmalberg is in the video below, or read about him here.